In both portions of scripture posted above the words “affection” and “mind” respectively comes from the Greek word phroneo and it means, “to exercise the mind, i.e. entertain or have a sentiment or opinion; by implication to be (mentally) disposed (more or less earnestly in a certain direction); intensely to interest oneself in (with concern or obedience). Phroneo “to be minded in a certain way”; “to think . . . to set the mind on, implying moral interest and reflection, to regard, to think to be minded in a certain way, rendered as a verb it means ‘to mind’ as in ROM 8:5: “they that are after the flesh do mind the things of the flesh”. ROM 15:5: “to be like minded” 1 COR 13:11: “be of one mind” and those who mind earthly things as in the above passage in Philippians, and who set their affections as in Colossians cited above. - Scriptures are being watered down and presented as “our shared stories”. Scripture study is being replaced with power-point references on Sunday, and sensual, flesh-pleasing experiences, music and activities are being promoted as the key to experiencing God. - A growing trend towards ecumenical unity for the cause of world peace, eradicating hunger, curing AIDS, etc. The Emergent Church is a social and political movement rather than a genuine spiritual move of God. [ECM wants to portray itself as a new ‘Jesus Movement’ like that of the late 60s and early 70s, but while the Jesus Movement was born of the Spirit of God, the ECM is born of the spirit of humanism]. - The church will begin to find that unity around the Lausanne Covenant which just recently presented the Holistic Gospel of Christ” which emphasizes the “redemption of cultures” not people. In 1982, EMNR was formed to become "a consortium of Christians in North America, seeking to help people distinguish authentic from in-authentic Christianity and strengthen evangelical Christian ministries to new religionists and cultists." Dr. Walter Martin was a founding member of Evangelical Ministries to New Religions (EMNR). The organization was formed as a think tank for apologists, with a focus on reaching people involved in cults. The EMNR web site claims to adhere to the same purpose today, as they are recruiting new ministries and apologists for membership. However E.M.N.R. has allied itself with the Lausanne Covenant, which had adulterated E.M.N.R.’s original purpose, as you can read below:EMNR has a page on its web site for the Lausanne Covenant. What is the Lausanne Covenant? Lausanne was drafted as a plan for globalization. "Considering Jesus' words that few would enter into the Kingdom of Heaven, and that we are destined for tribulation from the world system because it hates Him, where in His Word do we find the "whole task" of solving the world's problems? On the contrary, Jesus said that the poor would always be with us (MATT 26:11). "Does this mean that we should turn away from those in true need? Of course not. But while we may help individuals in need, we have not received a mandate to eradicate poverty from the earth, any more than we have received a mandate to solve the problem of overpopulation or the proliferation of nuclear weapons. These are personal agendas being foisted upon the Church as a whole by social activists. They are not part of the Great Commission. "There are enough causes to go around many times over. To require socio-political action as a mandate is to steer the Church in a direction not intended by Christ. So pervasive has the Lausanne Covenant become among the vast majority of Evangelical churches that a Christianity Today article has stated, 'The unifying question has quickly become: 'Do you subscribe to the Lausanne Covenant?" Our question is, "Are we to be united in Christ, or united in the Lausanne Covenant that forms the basis for the World Christian Movement?" Note: Because speakers and leaders may use one or more of these phrases doesn’t mean of course they are endorsing Emergent/New Age theology and philosophy, but if used in conjunction with other phrases on a consistent basis, it could implicate the harboring of such views on the part of such leaders and speakers, and they should be questioned about such word usage and, or beliefs in a spirit of humility and a love for the truth. Which of the above were written by Christian authors? New Age authors? Any Emergent Church Movement authors? To answer, none were written by Christians. Quotes 1, 2 and 3 were written by the New Age/Theosophical writers Barbara Marx Hubbard (1,2) and Alice Bailey* (3); quote 4 was written by a man who claims to be a Christian or as he prefers it, ‘a Christ follower’ but is in fact an Emergent Church leader, Brian McLaren. Can you detect any fundamental difference between his sentiment and the others? *We haven't yet, however, examined the occult teachings of Bailey as they were related by her Master Djwhal Khul (a spiritual ‘ascended master’ which the Bible calls ‘fallen angel’ or perhaps ‘demon’). Her 24 books, combined with the Beacon magazine, Triangles, and the Arcane School indoctrinate students into what Bailey describes as the "Ageless Wisdom" teachings. The Arcane School, founded in 1922, boasted 20,000 graduates by 1954. This occult university is more active than ever and continues to be the main training ground for New Age disciples. The bulk of these occult teachings, in Bailey's books, are from her channeled Tibetan master Djwhal Khul (DK); the "Plan" according to the Hierarchy of Ascended Masters. Through a series of group-initiations and group-meditative techniques the Hierarchy directs the "New Group of World Servers" to implement a "New World Religion" of which humanity as a whole can aid the "will of the planetary logos". “Christ-consciousness and Christ-abilities are the natural inheritance of every human being on Earth. When the word of this hope has reached the nations, the end of this phase of evolution shall come. All will know their choice. All will be required to choose . . . All who choose not to evolve will die off.” Barbara Marx Hubbard, from Happy Birth Day, Planet Earth. What Rick Warren, Rob Bell, Tony Campolo and Brian McLaren are all proposing is a kind of Christian Socialism, that is, the church’s primary function is to feed the poor, clean up the environment, work to comfort or cure those with diseases and a host of other earthly projects to make ‘heaven on earth’. NOT SO! The church’s primary function is to preach the Gospel to every one in this world, to seek out the lost and invite them into God’s kingdom by means of salvation through Jesus Christ. All other concerns, while they are important and perhaps worthy of some of our time are entirely secondary because they only have temporary benefits, and provide no eternal salvation from sin, death and hell. 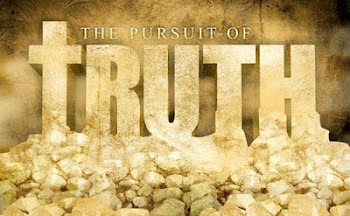 “Infiltration and deception have been tools of conspirators through the ages, and the Church has been a primary target! After all, God warns us that "the whole world is under the sway of the evil one." (1 JOHN 5:19) One of his most effective schemes is to redefine God's Word and divert Christians from His unchanging Truth to man's shifting ideals. “Like Rick Warren, it uses the Bible to validate its purposes but emphasizes organizational behavior rather than Biblical beliefs -- in short, deeds instead of creeds. Behind its noble appearance hides a postmodern version of the century-old "Christian Socialism." “From this prominent platform, he wrote books such as ‘Christianizing the Social Order’ and ‘A Theology for the Social Gospel.’ Steeped in "higher criticism" and socialist ideology, he taught what many considered a more relevant and compassionate gospel. As a result, he "changed both the emphases and the direction of American Protestantism." “Rauschenbusch introduced Jesus "not as one who would come to save sinners from their sins but as one who had a 'social passion' for society." He and his comrades established the "Brotherhood of the Kingdom," which unified like-minded church leaders under a common socialist quest for an earthly "Kingdom of God." Such ideals and objectives early in the 20th century would have been well met by Emergent Church proponents in these early years of the 21st century, and indeed, I believe the roots of this present day movement were in fact those days of Rauschenbusch and his associates! The days of the apostasy of the church have arrived already; it’s not something yet future! It began as early as the days of Paul and John, two apostles who confronted heretics with the Word, and it’s grown exponentially into the monstrous Mother of Harlots that it is today. She’s only going to get stronger and more belligerent as time marches on, and things are going to get far worse, especially once the chaste bride of Christ is taken out of this world to join her LORD in heaven. Once that Holy Hindrance is removed, it will certainly be a kind of ‘hell on earth’. How much of this tribulation (NOT in reference to Daniel’s 70th week, i.e. 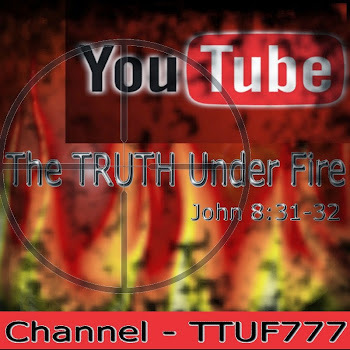 the Great Tribulation) we the saints of God will have to endure remains to be seen. "We are entering into a time when Christianity is being completely redefined according to culture and personal preferences. The lines between the Way that Jesus truly gave us and the many other ‘ways to God’ are becoming so vague as to leave an entire generation swimming in a sea of doubt and spiritual insecurity, doing a lot of nice things and hoping somehow it is enough. This concludes this article, but not the realization of this movement (which has yet to be seen in all of its potency in our every day life, both socially and spiritually), yet it is coming nonetheless. The questions we must ask ourselves are: Are we adequately forewarned of these dangers? And, are we spiritually equipped and ready to take on these not-too-future challenges in a way that is honoring to our LORD Jesus Christ? You can only answer those questions for yourself. May the LORD bless and encourage you in His Love and Light in these days of growing darkness.